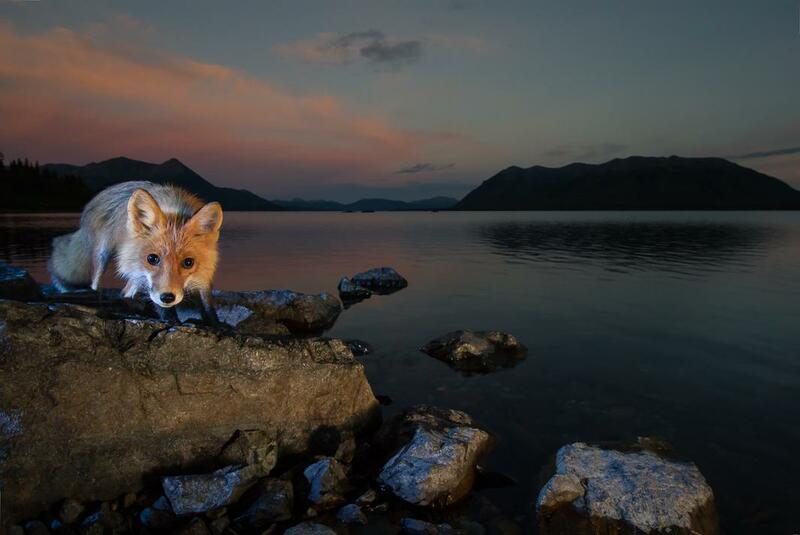 Jonny Armstrong photographs animals using camera traps. 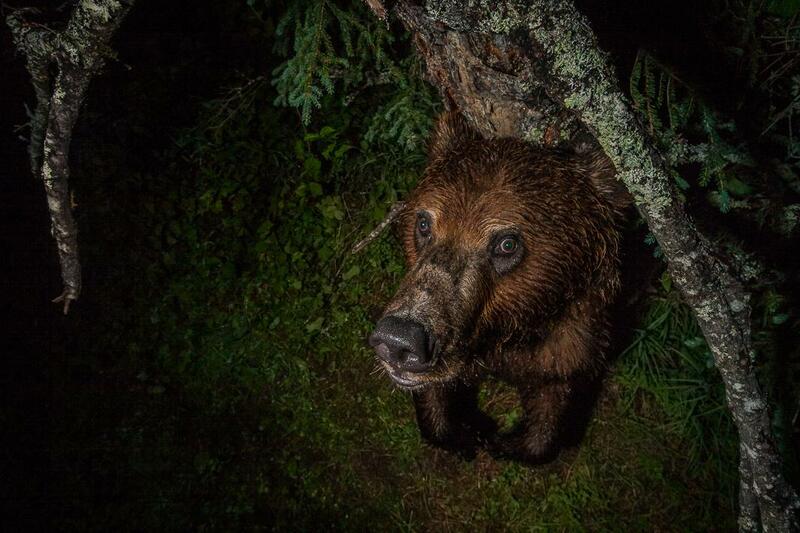 A camera trap mounted 7 feet up a spruce tree captures a bird’s-eye view of a bear scratching its back. 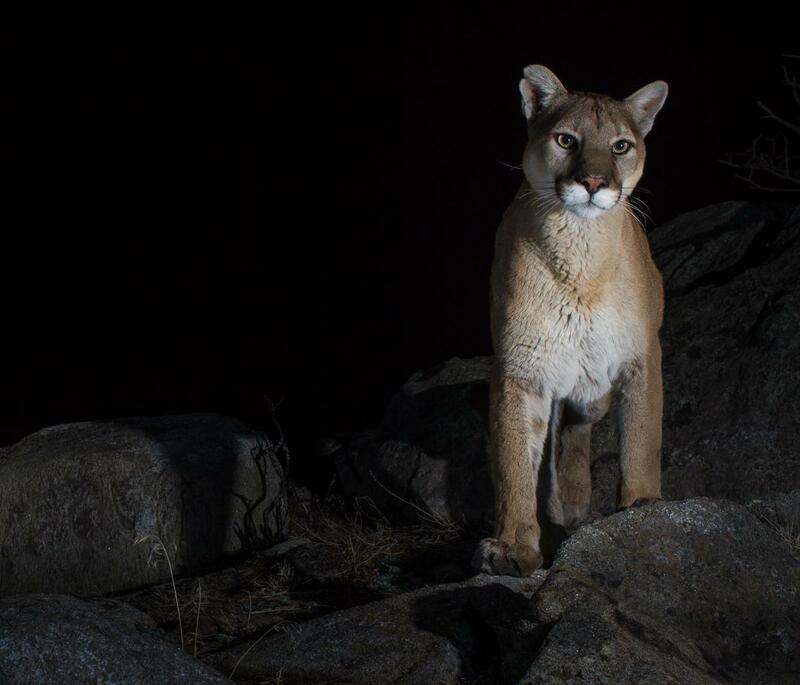 As a working ecologist, Jonny Armstrong often uses camera traps—cameras that are remotely activated via motion sensor—for scientific purposes. 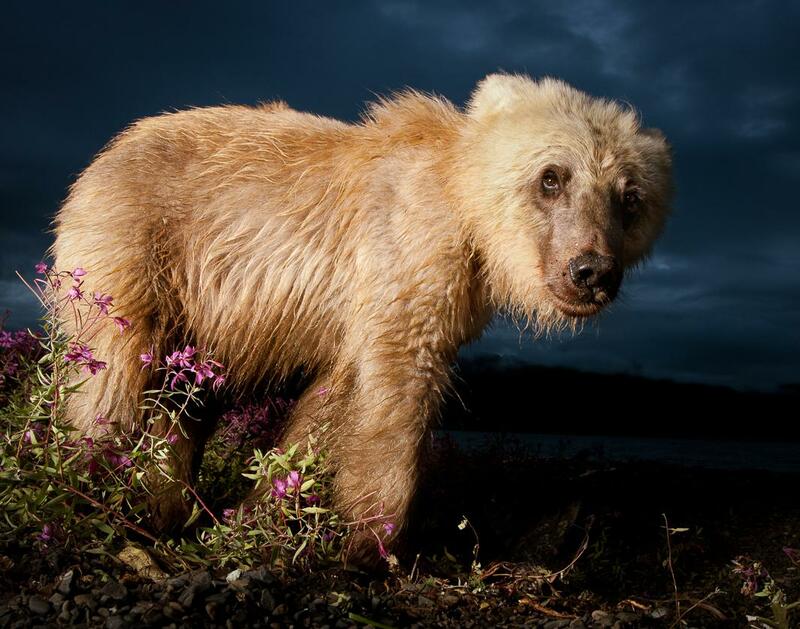 Since 2011, Armstrong has also been using camera traps along with flashes in his personal nature photography to make images that are unusually intimate and unguarded. “My research photos are occasionally pretty, but usually they’re grainy nighttime shots with low contrast, motion blur, and eye-shine from the on-board flash. These images are great for generating data and communicating science, but they fail to capture the beauty of nature. My personal photos strive to do what my science cannot—emotionally engage audiences,” Armstrong said via email. 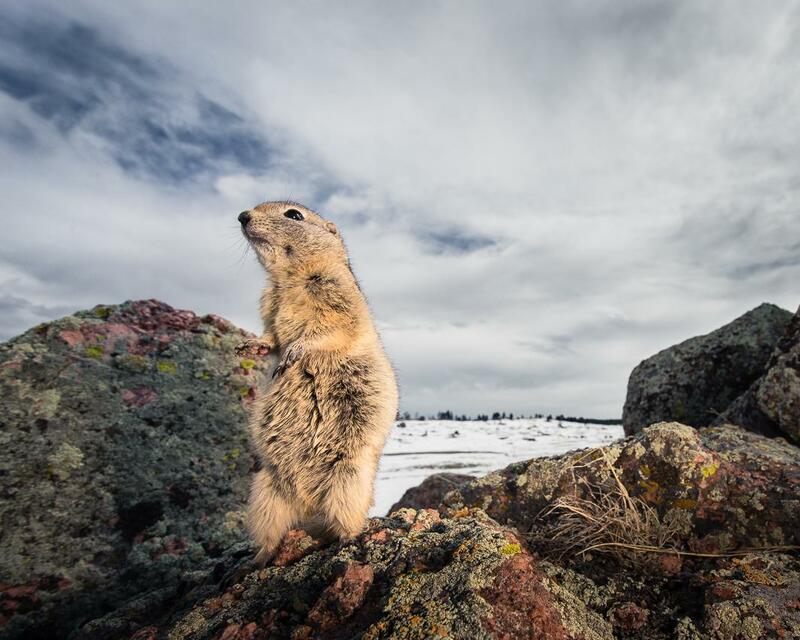 After a spring thunderstorm, a ground squirrel emerges from a burrow and scans the horizon in Southeast Wyoming. 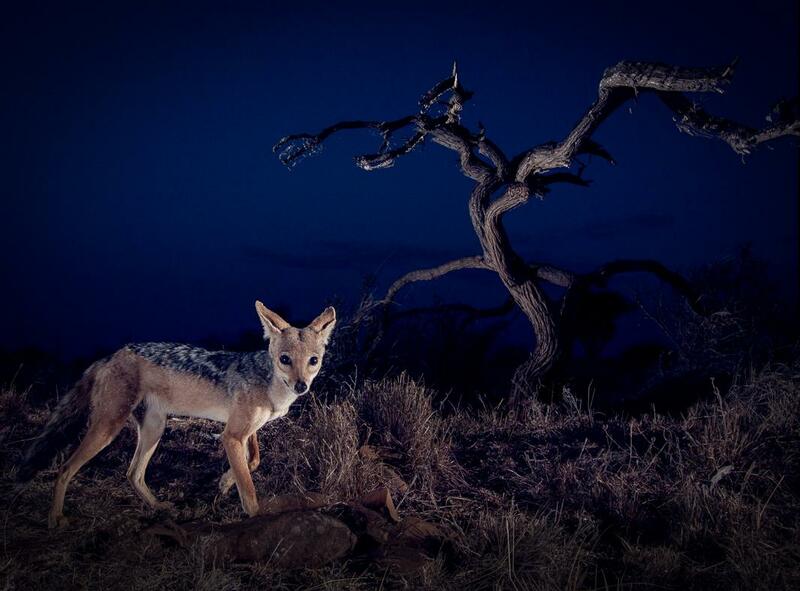 A black-backed jackal in Kenya. 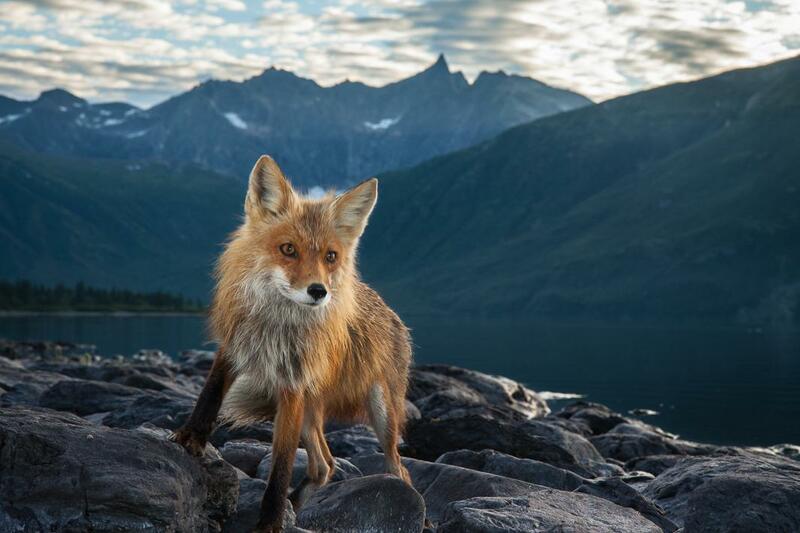 During annual trips to Alaska’s Bristol Bay region, when he’s not conducting field research, Armstrong spends most of his time camera trapping grizzly bears and red foxes. 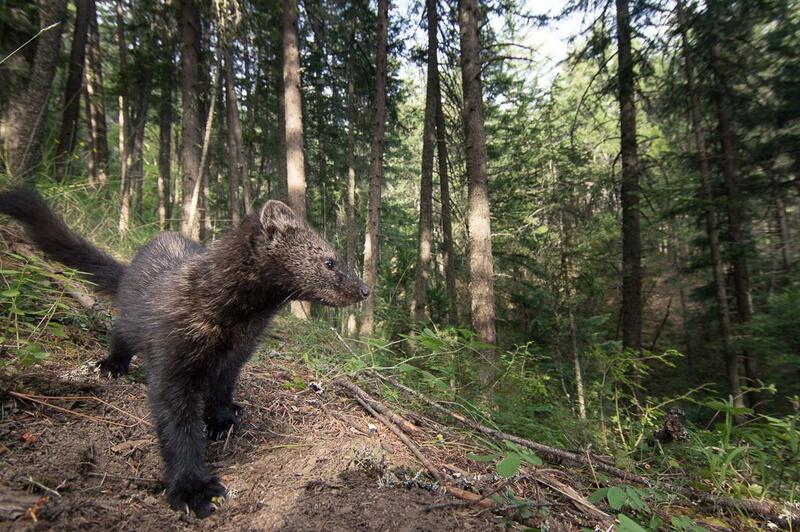 He also camera traps in Wyoming, where he lives, and in Oregon where he goes to visit family. This past winter, he spent a month in Kenya practicing his craft. While Armstrong’s setups are often designed to capture a particular animal, chance is always a factor. Once, he tried to camera trap a wolf and instead got a shot of a great horned owl capturing a mouse. Another time, he set the camera up by a salmon carcass hoping for a bear but instead came away with a photo of a bull moose sniffing the fish. “The surprises are really fun, but they usually don’t make for good photos. I generally need a specific size of animal for a shot to work, and it needs to stand in a specific spot, sometimes even at a specific time of day. I like taking big risks to get the shot I have in mind, so I fail a lot more than I succeed,” he said. A young grizzly bear roams the shores of Lake Nerka at dawn, Bristol Bay, Alaska. A red fox searches the water’s edge for washed-up salmon carcasses and other food. Getting a successful picture doesn’t always come easy. Sometimes he gets a good image on the first night, but other times he wait months only to come up empty. Animals wary of human scent are particularly difficult for him to photograph. In the West, he’s seen the tracks of coyotes, red foxes, and wolves follow a trail toward his camera and then detour around it. But not all animals are as skittish. 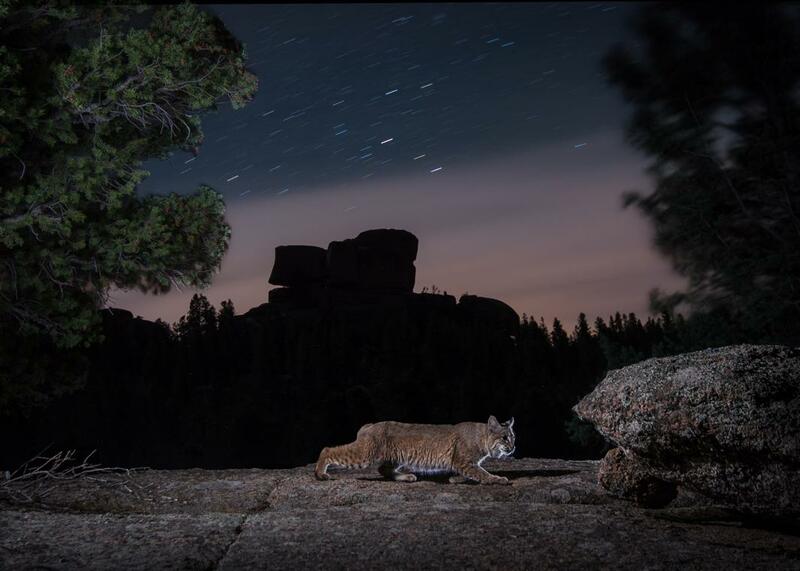 A bobcat passes along a cliff edge in Southeast Wyoming.